Discreetly holding its own against a wall in the decorative arts galleries, for years this unassuming and seemingly plain chair was easy to walk right by. 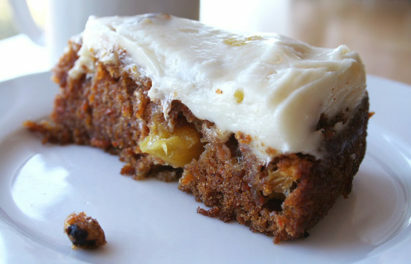 Now, however, it has received its first royal treatment since 1789. 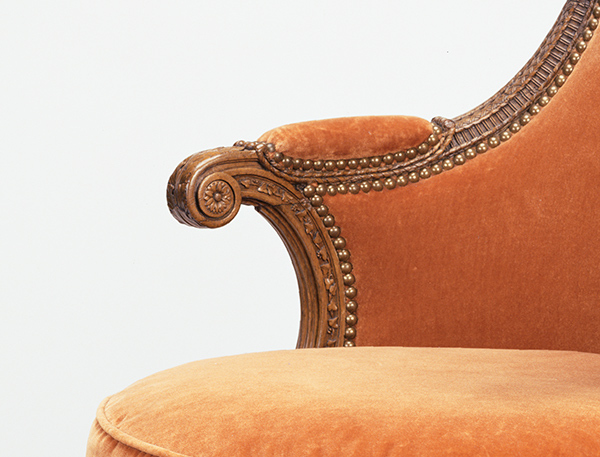 Acquired by J. Paul Getty from an estate in Newport, Rhode Island, in 1972, the chair’s illustrious origins were revealed after careful research by Museum curators. It was, in fact, part of a suite commissioned for Marie-Antoinette’s bedchamber at the Petit Trianon just before the French Revolution. 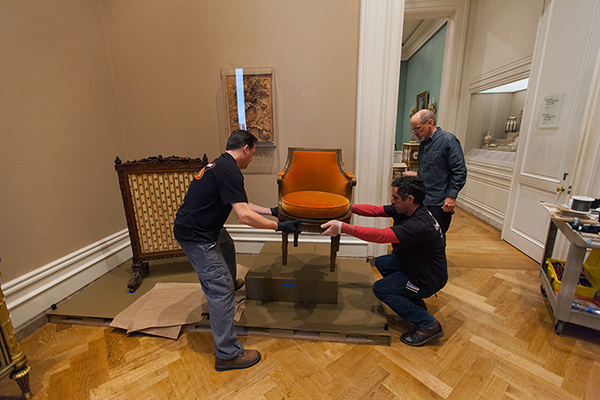 And now the chair is the new centerpiece of a gallery reinstallation at the Getty Center. Furniture for Trianon, the queen’s private country estate on the grounds of Versailles, drew its inspiration from nature and the fashion for “rustic” country life. 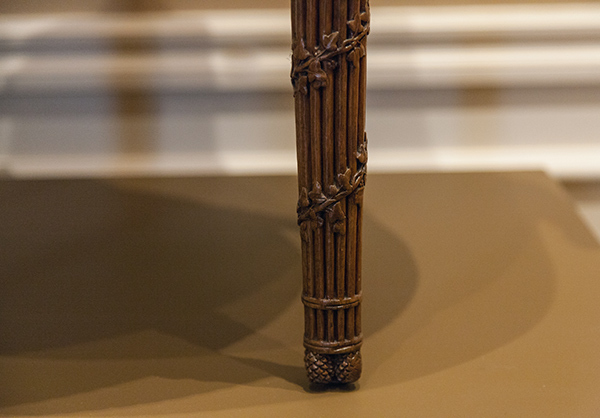 Resembling bound wicker sticks, the Getty’s chair features four tapered legs that rest upon whimsical “pinecone” feet. Stylized wickerwork adorns its back and seat, and sinuous bands of ivy and lily of the valley run up the arms and legs. Although its wood frame is now stripped of color, the chair’s carving was painted in naturalistic hues. Russet-colored velvet hides any trace of the original cotton upholstery fabric, which was enlivened by wool embroidery of the queen’s favorite flowers. Furniture from the same bedchamber suite retaining these colors and upholstery was returned to the Petit Trianon in the 1940s. Combining style with practicality, the queen’s chair hides an ingenious swiveling mechanism that allowed Marie-Antoinette to casually turn as her hair was styled and powdered. Its low back facilitated this important part of her daily toilette, or act of dressing for the day. Hairstyles of the 1780s were meant to appear more natural than they had been in Marie-Antoinette’s earlier years. 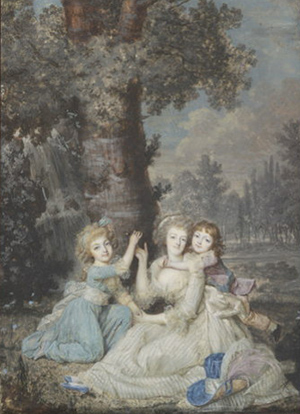 Instead of towering tresses crowned with feathers and flowers, she opted for simpler, curled coiffures that were less likely to provoke accusations of extravagance and excess in the years before the French Revolution. Raised up on a special plinth and enlivened with engaging new audio tour components, the queen’s swiveling armchair invites you to stop and look closely. Discover the skilled craftsmanship of the master furniture maker Georges Jacob or the carver Jean-Baptiste Rode. Imagine Marie-Antoinette sitting before you, gazing out the window onto the landscape of her beloved Trianon as her hair is curled and powdered to “rustic” perfection. 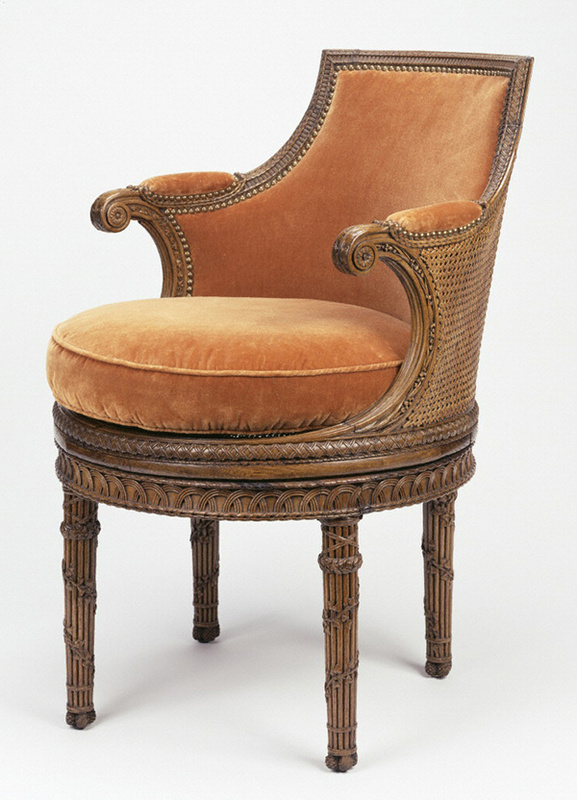 As it happens, this chair is not the only object in the Getty Museum’s collection with a direct connection to Marie-Antoinette. Four giltwood side chairs and four gilt bronze wall lights also commissioned for her use are also on view nearby in the Getty Center’s South Pavilion. 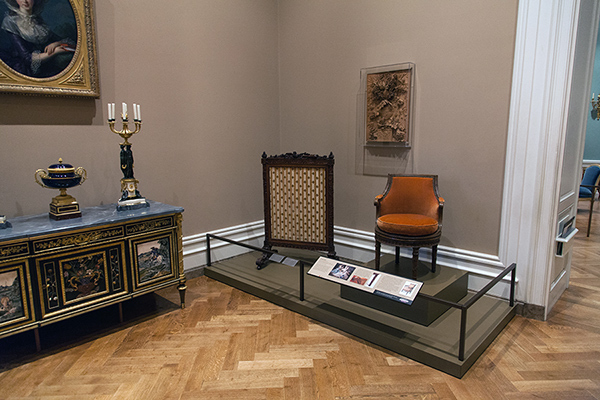 The chair’s new installation in the Getty Center’s Neoclassical Furniture Gallery coincides with a citywide celebration around the staging by the LA Opera of the Figaro Trilogy. These operas, inspired by the plays of Marie-Antoinette’s contemporary Pierre Caron de Beaumarchais, bring a comic touch to stories of aristocratic excess in the years leading up to the French Revolution. The fest also includes a day of music, talks, and tours here at the Getty on January 24, which features a talk by curator Charissa Bremer-David about art on the eve of the French Revolution. The day begins with coffee and pastries—Marie-Antoinette would have approved. 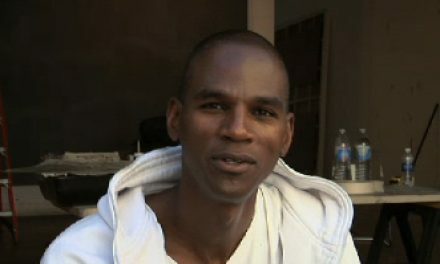 I'm the 2014–15 graduate intern in the Sculpture and Decorative Arts Department at the J. Paul Getty Museum. I encourage you to explore the Getty's collection of decorative art and find objects that speak to you. The chair looks so comfortable to sit on and definitely suits a queen. The floral details are so elegantly curved. So are the pinecones on the chairs legs. They are carefully put together and produced this elegant chair. “…inspiration from nature and the fashion for “rustic” country life.” That explains the detail and the color.